On Easter morning, there was nothing better than waking up and finding an entire basket filled with sweets awaiting me in the living room. Cadbury eggs, Reese's Pieces and Peeps were staples in my basket year after year. From a candy perspective, it was almost as good as Halloween. 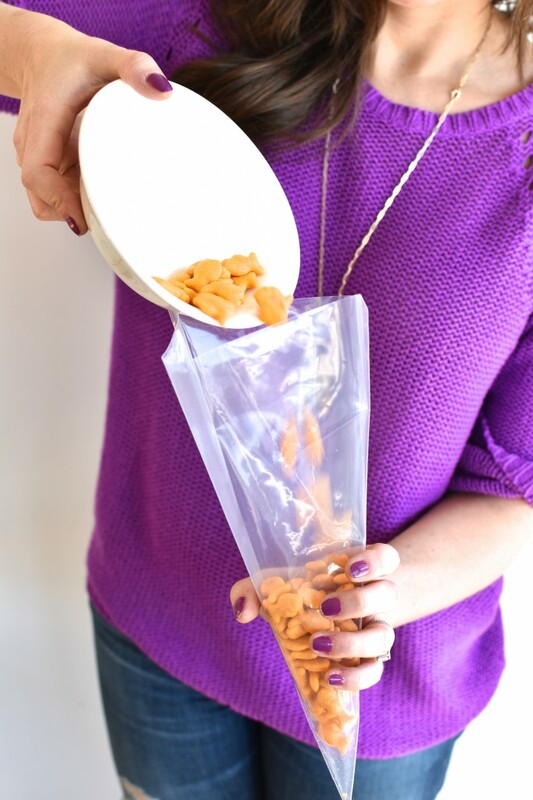 Now that I am a mom to a toddler, I'm not keen on giving in to the power of candy just yet. She already knows (and loves) cupcakes and cookies, so I would like to keep chocolate bars a secret for a little while longer. 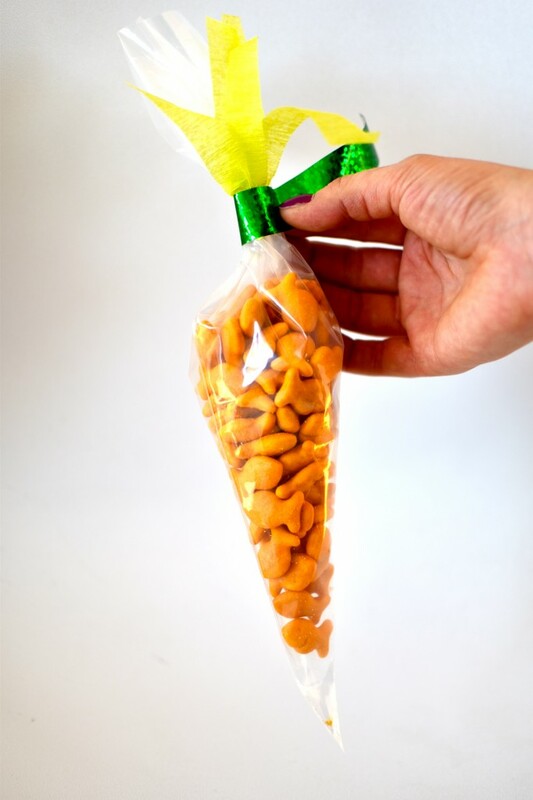 On the other hand, I don't want to be a totally lame mom and give her a basket of fruits and veggies so I came up with these easy Goldfish carrots, which is a slightly healthier yet very adorable alternative.